The Tool Box Locking Mechanism has been designed and manufactured for a leading gas turbine engine provider. Locking Mechanism has been designed to retro-fit to existing tool boxes providing additional security while being transported around the world. 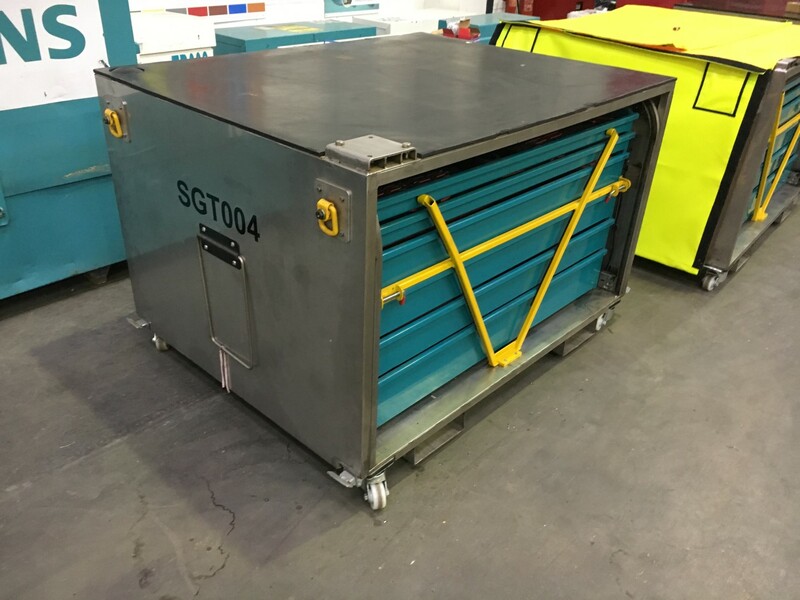 The design is a simple solution that ensures that drawers cannot open during transit across land, sea and air, protecting valuable tooling. The solution can be easily removed and stored while the tool box is in use. The solution has been manufactured from a thin walled 25mm box section for the framework to provide an optimum strength vs weight solution. The design features two off locking plates combined with two barrel bolts to secure the frame in place against the drawers. Approximate overall Dimensions: 1254mm (W) x 688mm (H).